This new leaded light was designed as the centre-piece for a victorian door and surround. 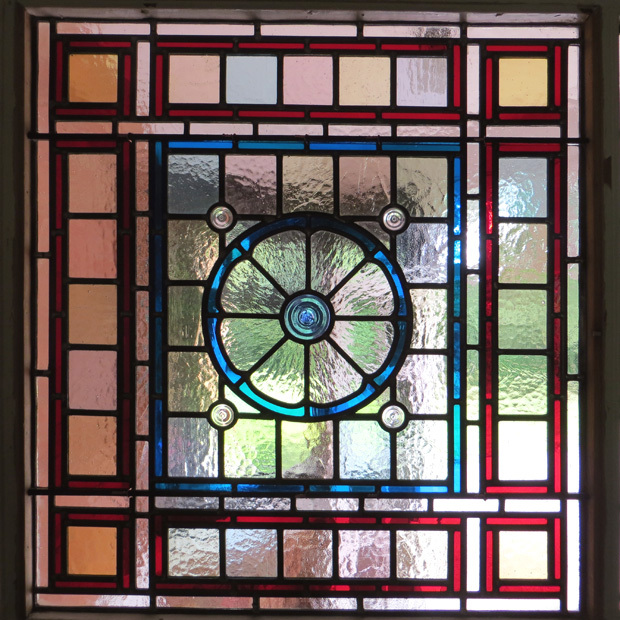 The original glass was removed some years ago and replaced with safety glass so the new window was designed to fit in with the remaining leaded lights. The client wanted a flower motif to be the centre piece of the window as this features throughout the house. 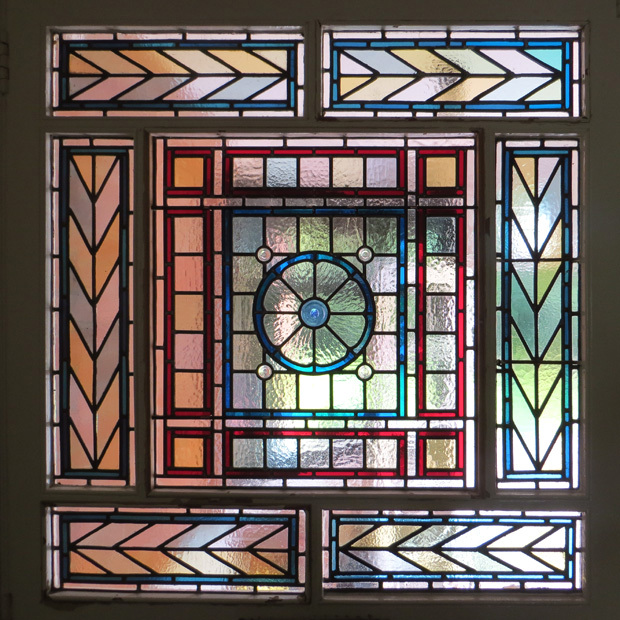 The window is made with various textured and handmade glass to match the original.